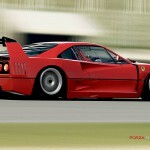 Ferrari F40 LM Competizione with Insane Sound! 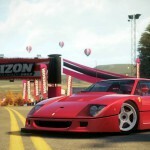 This Ferrari F40 LM is now in the center of all happenings in the automotive world. It really is a spectacular car and very few units have been produced. This car is also known under the name of Competizione. It features AP Racing brakes and Speedline wheels, as well as big hole in the hood that enables the air to go out. The engine has been upgraded so that it gains a bit of stamina, but it is still unknown what exactly has been done to it. 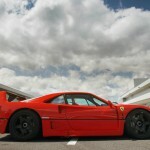 Owners of a Ferrari F40 usually pair it with turbochargers. 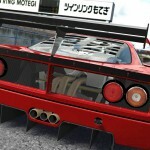 Finally, we can also say that this vehicle has adjustable rear wing and 2 extractors. 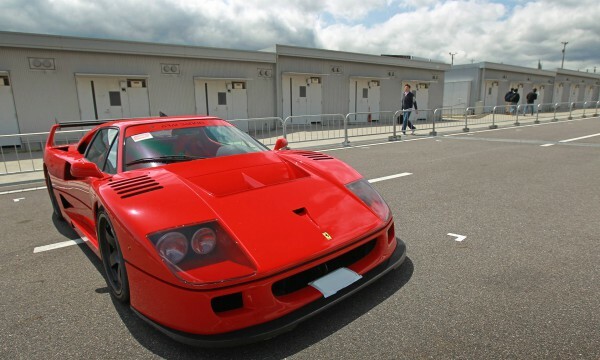 You cannot easily differ F40 LM from its copy, but according to what we have seen, it seems like this owner got himself an original. Finally, you can see this insane beast, its top speed and much more on this link!